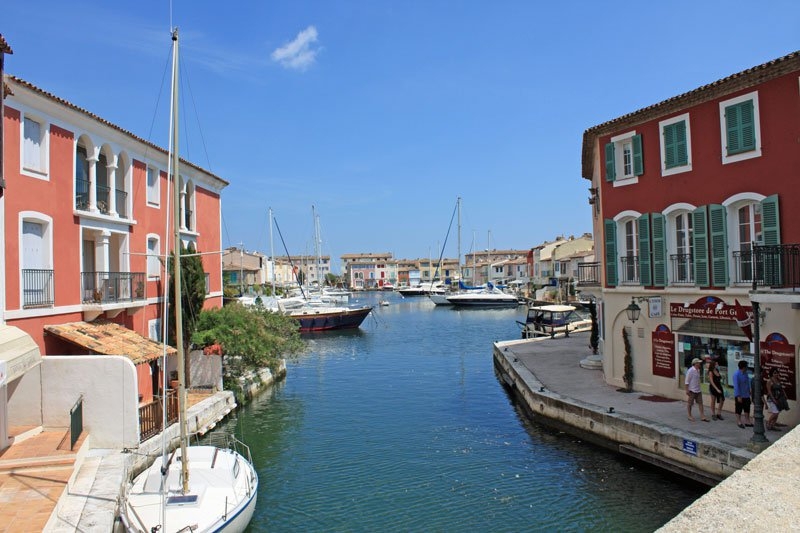 This week’s excursion takes us to a truly unusual place: the incredible floating marina of Port Grimaud! When arriving by road, the first thing to do is to park in the large paying car park, located at the entrance of the village. Once this is done, you’re all set for a wonderful day of walking. The first things you will be greeted by are a large tower, the village’s protective wall and a little further along, the gate to Port-Grimaud. Once inside, it’s easy to feel like you’ve stepped into another country! 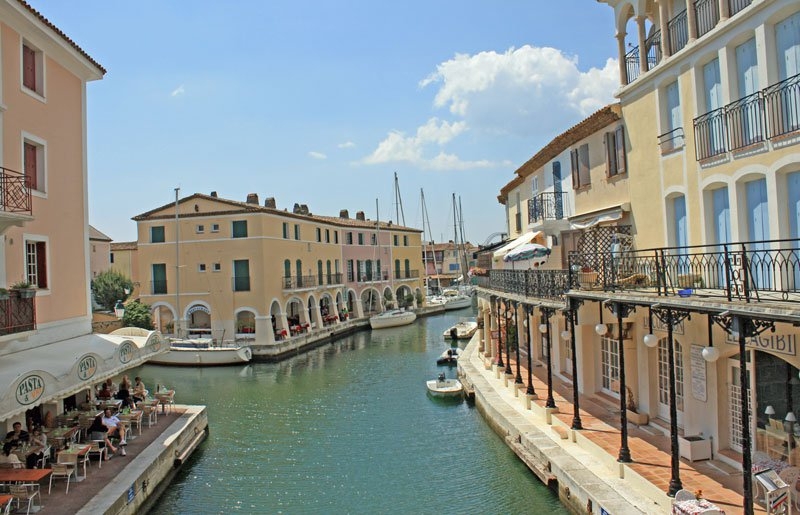 We recommend that you wander freely around this incredible small marina. It’s the best way to discover its canals, many bridges (including a wooden bridge), its pretty piers and its delightfully surprising architecture. From the top of the bell-tower of the Church of Saint-François d’Assise you can enjoy truly beautiful views across Port Grimaud and its surroundings. It’s an ideal place to take photographs. 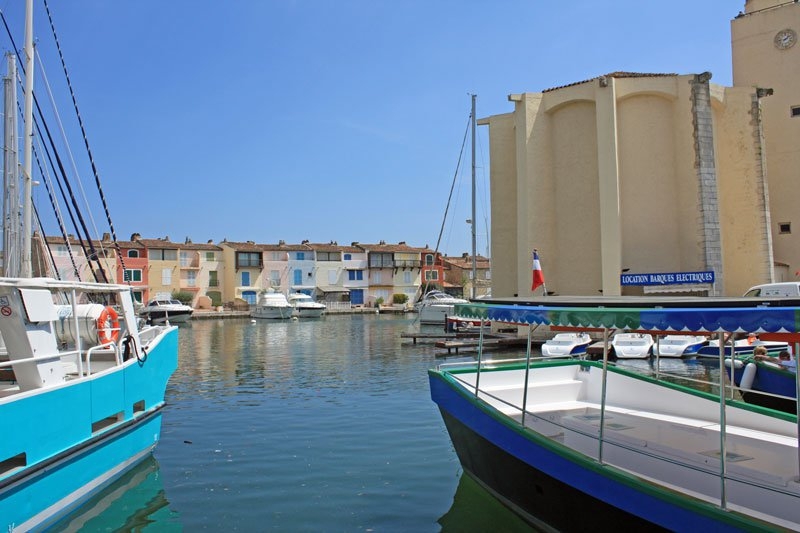 Alternatively, you can explore Port Grimaud on a "Coche d’Eau", a fully electric shuttle service (the roof is clad with solar panels) that offers twenty minute circuits around the marina. 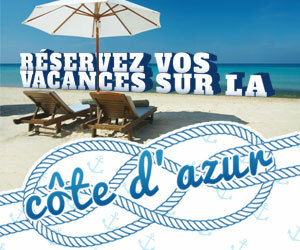 You will find lovely boutiques throughout the marina selling souvenirs and other items from Provence. 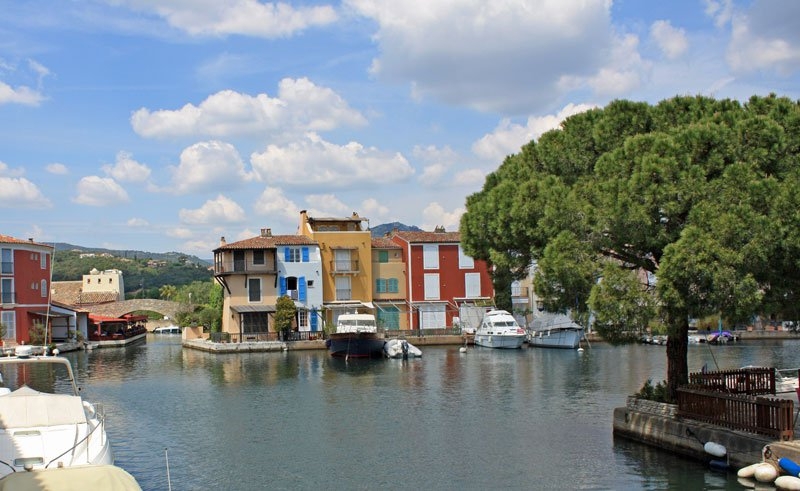 Similarly, when choosing a place for lunch, Port Grimaud offers an abundant choice of restaurants, crêperies, snack bars and ice-cream. We recommend the restaurant, Le Plaisancier, which is in the Place des Artisans, and has a lovely terrace on the seafront.